Ascending from the sleepy suburbs of Adelaide Australia, Colibrium are bringing the world their own brand of modern rock music, with a truly individual product. Their debut album “In Balance” released in 2016 was praised by fans and critics alike receiving rave reviews including a nomination for best heavy artist in the 2016 South Australian Music Awards. Produced in collaboration with Reid Jones and Forrester Savell, it draws influence from a broad spectrum of musical powers. This rock-solid, professional soundscape has something for every listener, and every mood. 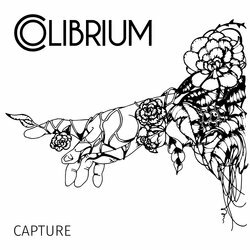 Post album release, Colibrium have earned continuous support slots through their super polished and high energy live performances with renowned national and international acts such as Leprous, Thousand Foot Crutch, Hands Like Houses, Twelve Foot Ninja, Caligula’s Horse and more. Looking to build momentum even further, the 5 piece are entering the studio once again to record their next body of work accompanied by a national tour to support the release in early 2019. This song talks about how often the music itself is forgotten in the pursuit of progress. Our real reason for doing what we do is because we love the music, and it often pains us to see that it comes second to a pursuit of "glory" in some cases. Real joy comes from the notes and chords we play.